Wilton Developments has secured planning permission for a new £83,000 sq ft commercial development on Newmarket Lane, in the heart of the Leeds City Region Enterprise Zone. 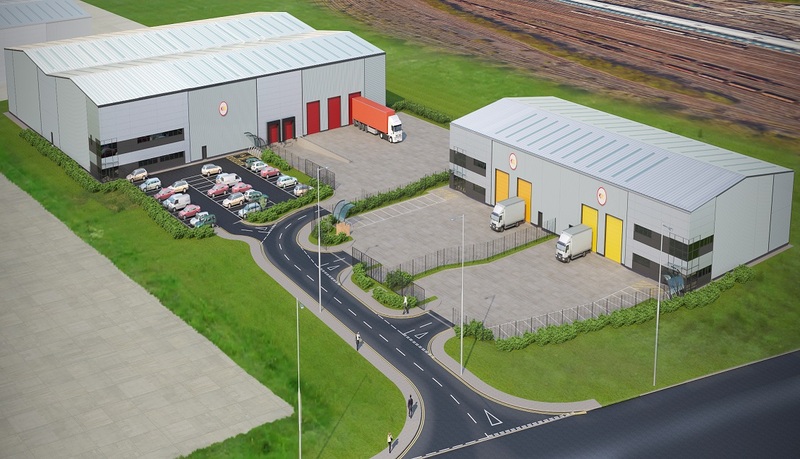 Kinetic 45, an £8million industrial and warehouse scheme, will be delivered speculatively as a standalone 60,000 sq ft industrial unit incorporating high quality office space and two smaller units of 11,000 and 12,000 sq ft, all of the buildings will have their own secure yards. Jason Stowe, Managing Director of Wilton Developments, said: “The Kinetic 45 development provides an exceptional opportunity to address the chronic shortfall in good quality, strategically located industrial accommodation in the region, benefiting as well from the Enterprise Zone incentives including Business Rates Relief. Roger Marsh OBE, Chair of Leeds City Region Enterprise Partnership (the LEP) commented: “Today`s announcement about Kinetic 45 confirms Wilton`s confidence within the City Region as a location for investment and development. I`m sure that this new development will follow the trajectory of Wilton`s previous Enterprise Zone scheme, Connex 45 on Thornes Farm, which is now home to both FedEx and Perspex Distribution. The Kinetic 45 development is close to Wilton`s successful Connex 45 scheme, which was the first speculative development in the Enterprise Zone and is now home to FedEx and Perspex Distribution Ltd.
Wilton Developments has appointed CBRE`s Leeds Industrial Agency team as sole agent on Kinetic 45.